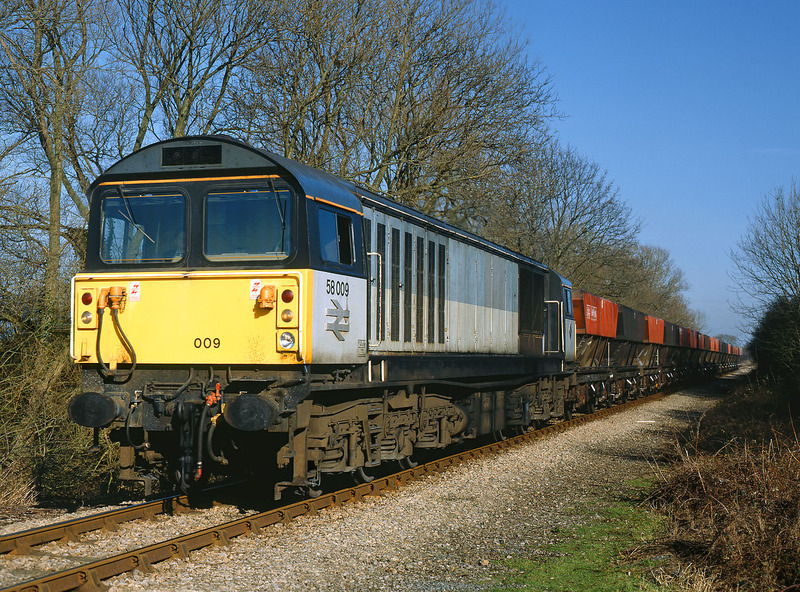 Until the late 1990s, Bicester Army Depot received a weekly train of coal for heating purposes during the winter months. This conveniently ran on a Saturday, with the empties travelling back to Didcot, and thence to Toton. 58009 passes Water Eaton with the empties on 4 February 1995, in the days when this was one of the few unobstructed viewpoints on the line.